April 12 1945, Japan. 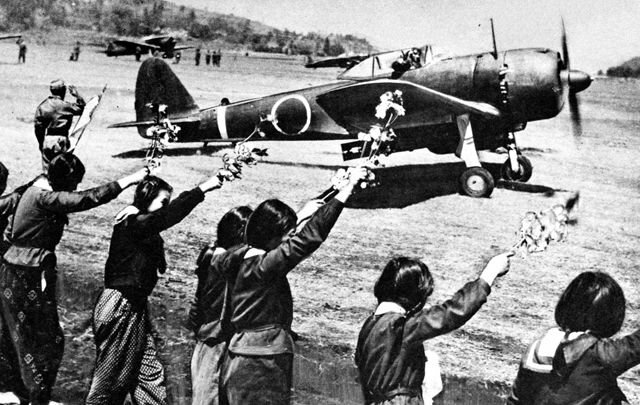 Chiran high school girls with cherry blossom branches wave farewell to 2nd Lt. Toshio Anazawa of Army Special Attack Unit (20th Shinbu). Toshio is flying a Nakajima Ki-43 "Hayabusa" III-type-Ko fighter (Allied codename; Oscar) and is loaded with a 250kg bomb, for a kamikaze mission in Okinawa.